If we’re honest, we all love a good scare. It’s the reason why horror books and movies have done so well for the last century, and why they continue to do well today. 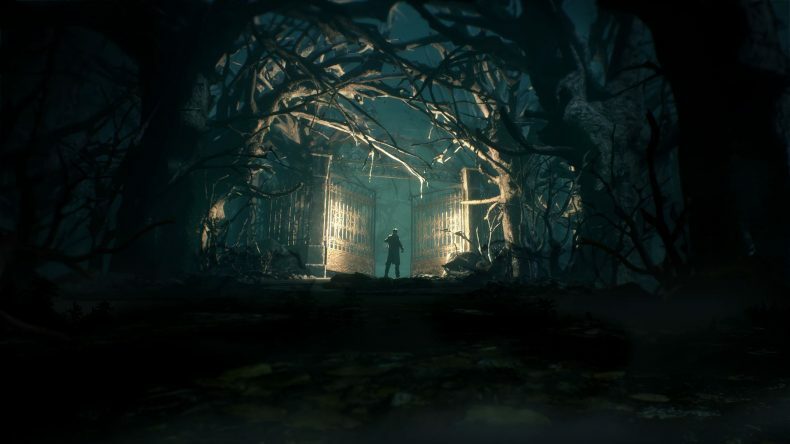 The genre has grown and changed with the times, even changing with trends, like when The Blair Witch Project started a whole craze of “found footage” movies that continue to this day, and it can easily be argued, influenced the camcorder mechanic of Outlast. Realistically, it wasn’t until the original PlayStation came along, that the horror genre truly came to life. Games like Resident Evil and Silent Hill, even with their dodgy voice acting, brought with them a terrifying atmosphere that just could not have been produced before. Now, we have tonnes of pants-browning experiences out there, and with today’s technology, they really are as close to movies as they have ever been. But time and again, no matter how far technology progresses, horror always goes back to the oldest ideas for inspiration. Many games owe a great debt to H.P. 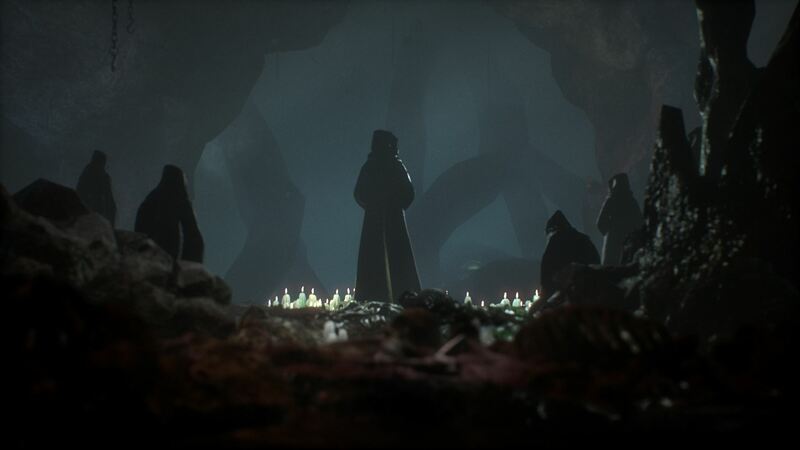 Lovecraft, so it comes as a surprise that Cthulhu hasn’t really had the greatest success in the gaming world, aside from the comedy RPG Cthulhu Saves the World. But is that about to change, with Cyanide’s upcoming Call of Cthulhu? Based on the first few hours of the game, I would say so. Set in the 1920s, you play as private detective Edward Pierce, an ex-soldier tormented by terrible nightmares. He also has a bit of a substance abuse problem, and the lack of cases coming his way threatens the loss of his detective licence. Edward is an intelligent individual though, so when he is asked to look into the case of the Hawkins family, who all died in a mysterious blaze, and all he has to go on is a disturbing painting and the word of an old man, something tells him that this is the case for which he has been looking. But before you enter Edward Pierce’s office and receive this intriguing case, Call of Cthulhu sets out its stall right from the start. You awaken in a cavern, surrounded by fish guts and shark carcasses, and pretty soon you’re facing a being that really shouldn’t exist. This nightmare sequence shows how Edward’s mind is being warped by PTSD and, perhaps, something much darker and very much older. The nightmare offers a glimpse of the atmosphere that will claw at you throughout your time with Call of Cthulhu. It’s not just about what you can see, it’s about what you can and can’t trust is real, even when it’s right in front of you. What might be unexpected in a first person horror adventure, is a form of RPG-like character progression. When you begin, you’re asked to put a certain amount of points into various parts of Edward’s knowledge. This ranges from general detection, to knowledge of the occult and medicine, or strength (of both physical and mental), and these traits will affect how you can progress in conversations or as you piece together parts of the case. After this initial round of character creation, only things you find out in the world will be able to increase your medical and occult knowledge, but you’ll still receive points to put into everything else based on your detective skills. It’s a bit of an odd choice and doesn’t always feel necessary, but then it does feel good when you’re able to influence a conversation based on how you’ve set up your version of Edward. It feels like a reward for solving mysteries, though hopefully they will become more difficult as the game goes on, because the ones I solved were fairly linear. 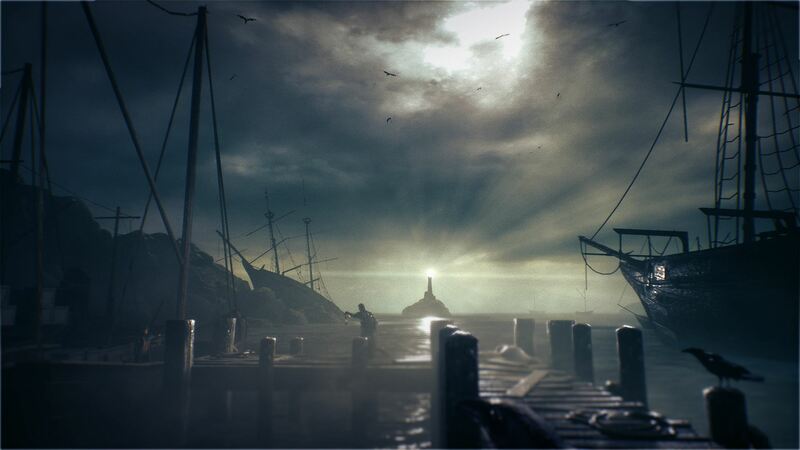 Once you’ve gleaned all the case information needed from the old man, you’re soon off on a boat trip to Darkwater Island (not at all ominously named), off the coast of Boston, to investigate the Hawkins’ estate. You’re introduced to the island and its fishing roots through dialogue, discovering items and observing scenes after disembarking at the docks. Your original goal is to gain access to Mr Hawkins’ warehouse, made difficult by the local mob boss and the somewhat uncooperative police force, who really don’t take too kindly to a private detective muscling in on their turf, to investigate a case they had already closed. There are a lot of clichés in Call of Cthulhu, but given the setting and the private detective angle, it makes total sense here. Before you even get to the warehouse, or even the Hawkins’ ominous-looking mansion overlooking the docks, there is a real sense of unease draped over everything on Darkwater Island. You never truly feel threatened by anyone at the docks, yet there’s something “wrong” about the whole situation and you really take care when entering new areas. It’s rare for a horror game these days not to put the player in any real danger for such a long period of time. Indeed, today’s climate seems to feed on the need for constant thrills, not even knowing what it’s like to take your time and let the atmosphere build slowly. For almost all of my time with Call of Cthulhu, I never once felt like I was in danger or that I would have to fight an attacker (there is a shoot button, but it was never used during these opening hours), so why was I so worried about what was ahead? Why did I check everything so thoroughly, before deciding it was safe to move on? The simple answer: atmosphere. Not since Resident Evil 7 have I felt so gripped by the atmosphere of a game. I was grateful for the option to take the policeman into the mansion with me, as the idea of going in there alone filled me with a sense of unease. That unease never went away, even when the adrenaline kicked in during a chase sequence. It never went away when I discovered the secrets of the mansion, instead leading to more questions. It never went away when the preview ended and it thanked me for playing. Sure, there are some issues. The RPG-lite character progression feels a bit out of place, and this preview build was riddled with spelling mistakes, but that may well be down to iffy translation of a French game and can easily be fixed before launch. It’s also a very minor complaint in a preview that otherwise had me riveted from start to finish. 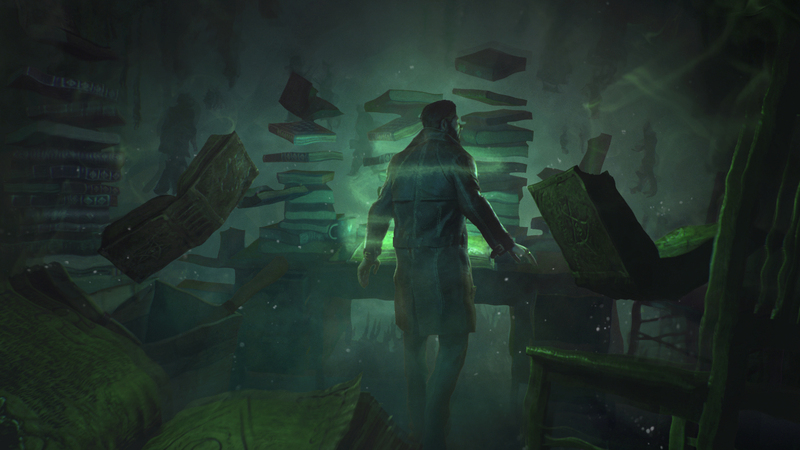 On the other side, Call of Cthulhu is dripping with atmosphere and has a story that is as intriguing as it is eerie. The detective angle works nicely, letting you piece together possible crime scenes, showing you ghost-like images of your theories as you search for clues. Dialogue wheels and the various gameplay outcomes that are influenced by how you play, both combine to create something a little different to most of today’s horror games. Plus, the story had me gripped from the moment I saw the Hawkins’ painting in Edward Pierce’s office. I haven’t seen everything Call of Cthulhu has to offer. With the combat still to be revealed to me, and the sanity mechanic having only shown a glimpse of its true colours during a couple of sequences, including nursing Edward through a terrifying panic attack, there is potential for the game to go completely off the rails. 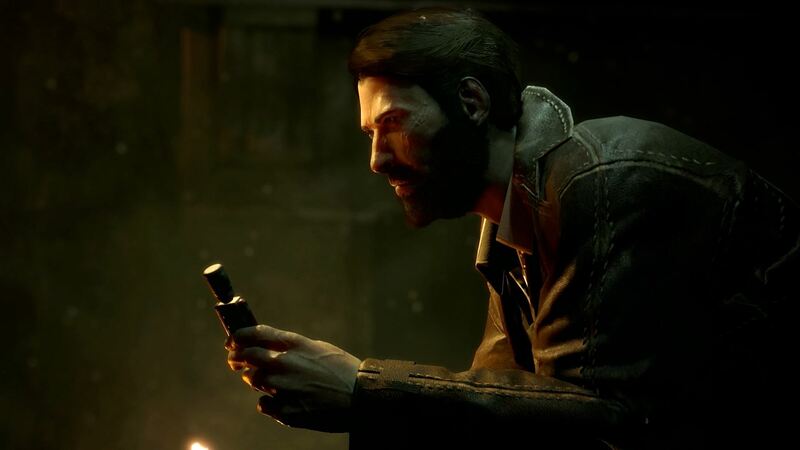 Thing is, off the rails can certainly be a good thing, as far as a horror game is concerned, and I am eager to discover the secrets of the Hawkins case. I am eager to answer the Call of Cthulhu.